Having to make the decision to end a pet's life is never easy. It is a subject that many people do not want to talk about until they have to, but then it becomes a decision made under emotional stress. The purpose of this article is to explore what happens when an animal is "put to sleep" and how to handle the grief of losing a pet. It is an intensely personal decision to euthanize a beloved pet due to injury or disease. People often wonder if they will know when it is "time." Many ask their veterinarian "what would you do if it were your pet?" Pet owners usually have an idea of what is 'good' and 'bad' in the life of their pet. What happens when an animal is euthanized. (NOTE: Each veterinarian has their own protocol. This is written from the author's personal experience) We prefer to give a sedative tranquilizer prior to the euthanasia drug, which is given in the vein. The tranquilizer is either given as a tablet by mouth or a painless injection under the skin, like a vaccination. The animal is then restful and the owner may elect to spend some quiet time saying goodbye. Each case is different -- if the animal already has an IV catheter or medical conditions dictate otherwise, we do not sedate. At this point, the owner may say goodbye to their pet and leave the veterinarian to finish the task. Other owners choose to spend some quiet time now and stay for the whole event. There is no right or wrong way to handle this. As the pet's caretaker, this is entirely your choice and what you feel most comfortable with. 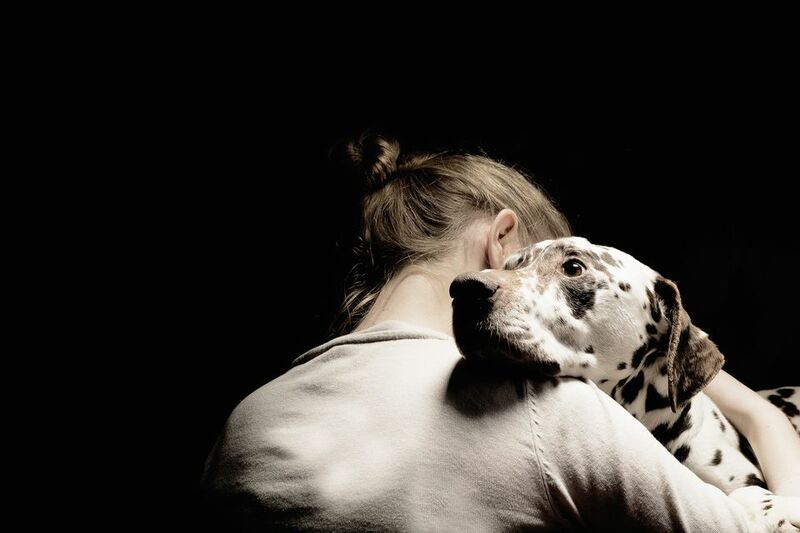 If people are unsure as to what is 'right' for their situation, consider the pet -- if the person is emotionally upset, some pets become stressed upon seeing their human distraught. The euthanasia drug itself is an overdose of a barbiturate that stops the heart and breathing muscles. This is administered through an IV catheter or with a needle and syringe. there may be a last gasping breath, called an agonal breath, that is more of a muscle spasm. The animal isn't aware of this. there may be muscle twitching. the urinary bladder and possibly bowel contents will be released. There are many options for taking care of the deceased pet's body. Traditionally, veterinarians took care of the pet or the owner had a burial at home. Options now include pet cremation, memorial gardens, and cemeteries for pets -- including horses. There are also several online pet tribute sites. Pets are part of the family. Losing a pet is often like losing a close family member. Grief and even feelings of guilt are expected after the loss of a pet. People should express their feelings, emotionally and constructively, as part of the healing process. Talking about emotions or using a journal to explore the feelings of loss, grief, and possibly guilt will help ease the pain over time. Some people may elect to make a donation to a favorite animal charity in memory of their pet. If the grief and sense of loss are overwhelming or prolonged, counseling and support are readily available from several sources, both online and off-line. Be aware that pets may also grieve for the loss of their companion, too. They may exhibit grief by not eating, not enjoying formerly favorite activities, or mild lethargy. These behaviors should be mild and short-lived. Always consult with your veterinarian to make sure there isn't a medical reason for not eating and lethargy. After Your Dog Dies, When Is the Right Time to Get Another Dog?